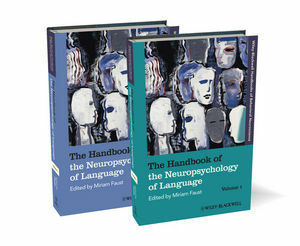 This handbook provides a comprehensive review of new developments in the study of the relationship between the brain and language, from the perspectives of both basic research and clinical neuroscience. Miriam Faust is Professor of Psychology at Bar Ilan University and head of the Brain and Language Laboratory, Gonda Multidisciplinary Brain Research Center, Bar Ilan University. She is a member of the editorial board for Brain and Language.